SHI YI-HENG(LIZARD), Born in Taipei in 1983, he graduated from the Visual Communication Design Faculty of the National Taiwan University of Arts in 2006. 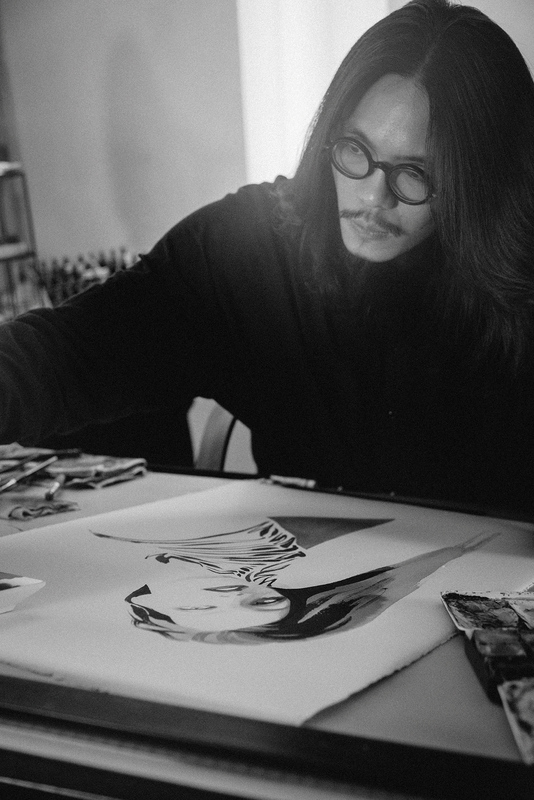 In 2013, he founded the Fashion Art Style and in the same year established a fashion illustration classroom in Taipei. The central idea of ​​”human” is the traditional painting technique, Incorporating modern and innovative design style, the self-liberation between the brush strokes captures the most realistic colors, combining the oriental Zen and western fashion elements to present a new generation of fashionable watercolor features. It is black, from birth; it is white, from pure; or, no color, unlimited possibilities and impossibilities. Between culture and fashion, between art and business, I have always embraced dreams and learning. Between understanding and not understanding, I look for real emotional connections with human beings, and express the real society through the way of art promotion and creation. Watercolor seems to be the medium, which started my exploration of color variations. I stroll along the road of artistic creation through different cultures or media, which can also satisfy my desire for artistic creation. Every artwork is like self-talk, as my avatar re-examines, the emotions between the strokes are expressed with sorrow and joy. Creation is a challenge and a new realization for me. CHANEL, Cartier, Guerlain, Calvin Klein, PIAGET, Jaeger-LeCoultre, Girard-Perregaux, Sybilla, SAMSUNG, SHISEIDO, ELLE, L’Oréal Paris, ECCO, eslite, Laura mercier. © 2019 LIZARDS ALL RIGHTS RESERVED.